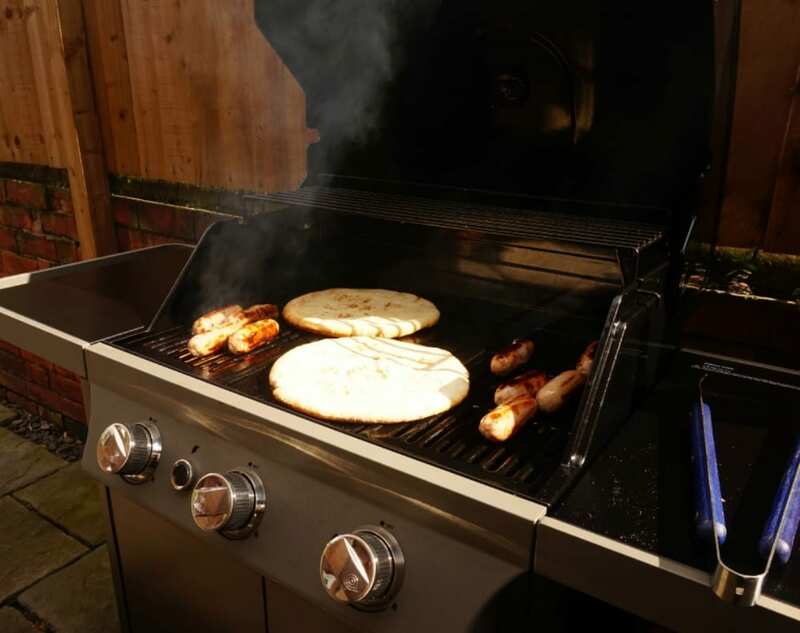 This is my final post looking at the recipes we’ve been creating on our fabulous new Bondi G300 BBQ from B&Q in the #BBQChallenge. It’s been great fun so far, and we’ve eaten way too much delicious barbecued food. You can see the previous recipes we created including breakfast, lunch and dinner, here and here. Today, I’m showing you what I managed to create at a kids party at the weekend. To be honest, this one was touch and go, as you may remember the weather was a little unpredictable. I’d promised out 10 year old a BBQ Buffet though, so was prepared to stand out in the rain to cook it. Thankfully though, the sun came out and the day was perfect. I was going to get all creative and fancy for the party, but then realised that the kids wouldn’t eat it, so stuck with some favourites. 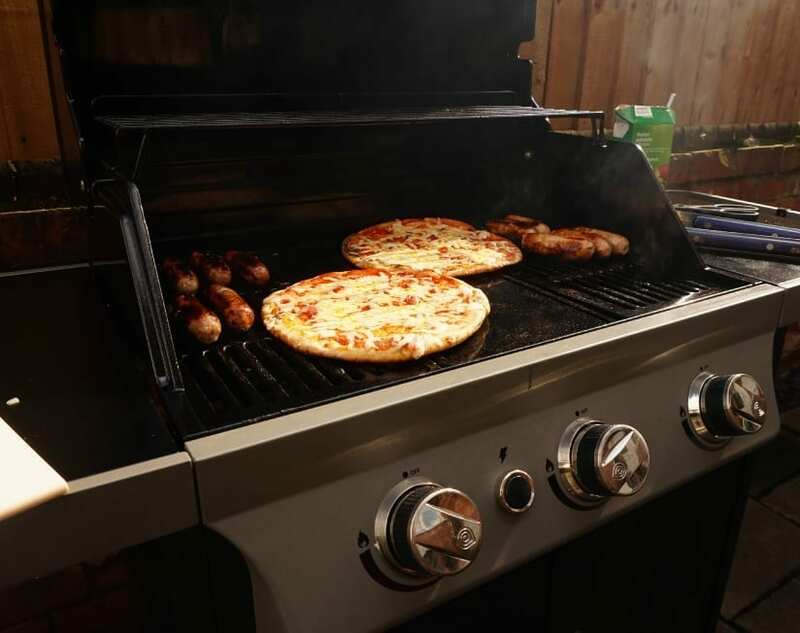 Classic hot dogs are easy, cheap and go down well of course, but I never knew you could make a pizza on the BBQ – did you? Having looked this up on the internet and Pinterest, it seemed straight forward enough, although maybe you could use a few pizza cooking tools. I didn’t have them but gave it a go anyway. Using some Italian ready made bases, I covered them in a little extra oil, and cooked for a few minutes, top side down, on the hot plate. Meanwhile, the sausages were cooking nicely too. Once the top side was lightly toasted, I turned them over, covering them in basil infused passata, and lots of cheese. 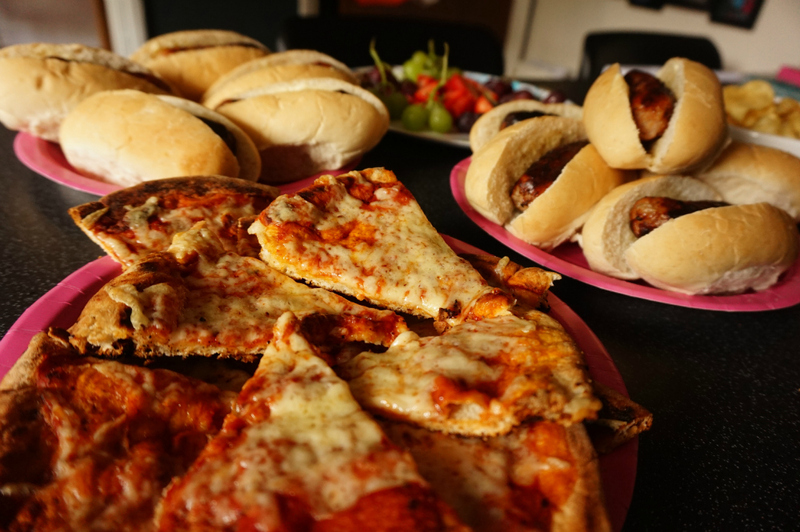 Not being sure if the girls were keen on too many flavourings, and not having done this before, the pizzas stayed relatively plain and simple. With the lid down, the temperature soon came back up to about 200 degrees, which I figured would melt the cheese nicely, whilst the bases would crisp up on the hot plate. Five minutes later, and it was all done. They look ok don’t they? To be fair, they were a little crispy so could have done with a few minutes less I think, but the girls loved them, as well as the hotdogs of course, and the whole lot was demolished in 15 minutes. Success. Next time, I’m going to be more adventurous and cook a more creative pizza for the adults, and see how that turns out. What do you think of my recipes? Has there been one you’ve particularly enjoyed? The B&Q followers will be voting, and choosing their favourite Breakfast, Lunch and Dinner recipe soon, so I do hope I’m in with a shot. My favourite has to be the Breakfast of American Pancakes, French Toast, Bacon and Berries. The children made me cook them again this Sunday, and with the sun shining and birds chirping, it felt idyllic sat out in the garden eating them. There’s nothing quite like it I think. The B&Q Bondi G300 is a dream to use. So easy and manageable, much better than I ever imagined. The racks go in the dishwasher so cleaning up isn’t too arduous, and I think it looks pretty stylish in the back garden too. I think I’m a gas bbq convert. Have fun with your BBQ this summer! 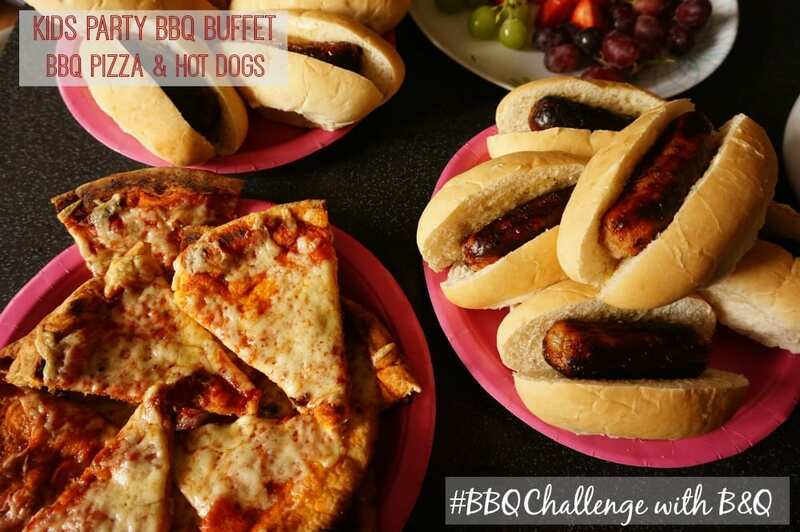 Disclosure: I was given the BBQ from B&Q and a food voucher for the purposes of this challenge, but the ideas, opinions and comments are all honest and genuine. We really have loved this BBQ! This is a great post. Its that time of year again. Man, that pizza sure looks good!!! Good Times. I love making personal Pizza on the grill . Everyone gets exactly what they want. Never tried making pizza on the grill, we use ours mainly for meat. This seems like a good idea though so might give it a try when the weather gets better!